A swollen foot and ankle are early symptoms of kidney disease. 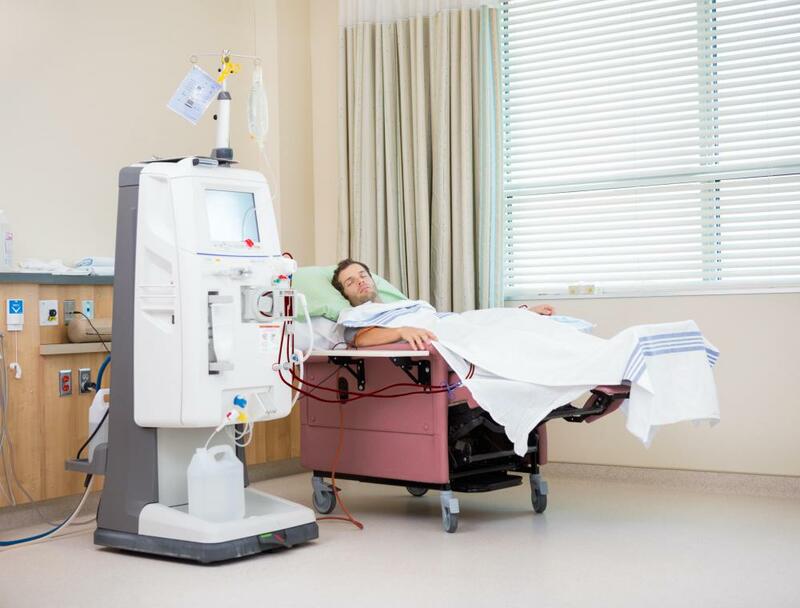 Dialysis treatment is often necessary for end stage kidney disease. Kidney disease symptoms may include itchiness. Extreme fatigue may be a sign of kidney disease. The kidneys perform a crucial role of keeping the blood clean and chemically balanced. Common symptoms of kidney disease include nausea and vomiting. Kidney disease is a condition that can affect men and women of all ages, although it is most common in individuals over the age of 60 who suffer from diabetes or hypertension. Individuals with chronic kidney disease typically exhibit a number of telling physical symptoms, such as trouble urinating and lower back pain. Many people experience fatigue, nausea, and problems with sleeping and concentration. An individual who experiences any symptoms of kidney disease should seek medical attention right away. A doctor can conduct a proper diagnosis and recommend the most appropriate long-term treatment plan. Chronic kidney disease develops gradually over time, and the earliest symptoms can be difficult to identify. The early symptoms of kidney disease include changes in urination patterns, tiredness, and moderate swelling around the feet and ankles. People in the first stages of kidney disease may find themselves urinating more often than normal, especially during nighttime hours. They may feel fatigued and unable to maintain a regular sleeping schedule. 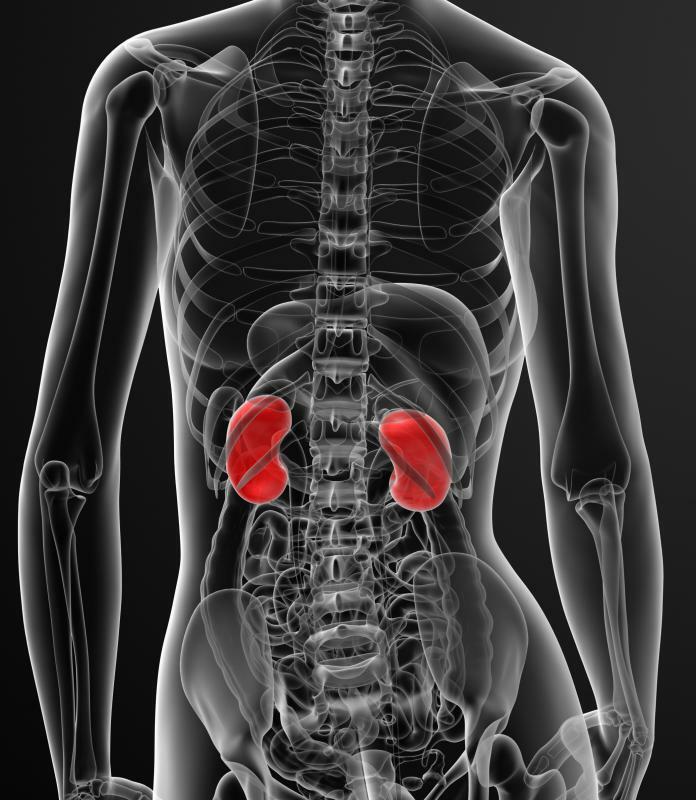 As kidney disease progresses, symptoms tend to become more noticeable. Individuals begin to experience significant discomfort when urinating, if they are able to urinate at all, and urine may appear very dark or bloody. The kidneys become less effective at removing excess water from the body and expelling it as waste. The result is significant swelling in the lower extremities and eyes, where tissue becomes overly saturated with the excess fluid. Symptoms that appear shortly before kidney failure include extreme fatigue, nausea, vomiting, anemia, itchy skin, and shortness of breath. Many people have trouble concentrating on tasks and may become disoriented and dizzy during activity. Muscle cramps, pain in the lower back, fragile bones, and headaches are very common later stage symptoms. Left untreated, the kidneys can completely shut down, causing irreversible damage to other internal organs and often resulting in death. A person should consult a doctor as soon as he or she notices any symptoms of kidney disease. The earlier kidney problems are detected, the better chance the individual has at successfully managing them. A kidney doctor, known as a nephrologist, can perform physical examinations as well as blood and urine tests to determine the nature of a disorder and decide on the best treatment options. The doctor might prescribe hormone supplements that help prevent anemia from getting worse. A person close to experiencing total kidney failure may have to undergo dialysis treatments or a kidney transplant. How Common Are Kidney Transplants? What Is the Renal Papilla? What Does a Transplant Nephrologist Do? I'm a 15 year old and I'm having unpleasant feeling in my lower back and my urine is a little bit concentrated. What should I do? @dega2010: A kidney function panel is done including a GFR. It is bloodwork. This was done routinely for me because I had high blood pressure at the time. That was the first I knew I was in early stages of CKD. After working for hours standing, my urine becomes very dark and very strong smelling. I drink four to five cups of water during that time and urinate three to four times. But after I get home and lie down, within two hours I have to urinate, but now it's nice and clear and there's lots of it. What causes this? That foot in the picture that pops up does not look really swollen to me. Is that an accurate picture of what a swollen foot (caused by reduced kidney function) looks like? I don't think looking at it from the side is very useful. There are characteristics of that foot that look very similar to my own (no veins, puffy) and when I stand on my foot it feels like there is pressure, but my doctor said my foot is not swollen (I have diabetes). Can we perhaps get a "front- view" of that foot? It looks like most of the swelling is in the middle of the foot just after the ankle. Another question: If I wear tight socks and they make deep impressions in my feet (from the patterns on the sock), especially on my ankles, is this a possible early sign of swelling? I'm 14 years old. I have lower back pain, tiredness, dizzy spells, and urinate often. How do I know if I should see my pediatrician about the recurring symptoms? I'm a 49 year old female, in generally good health, not hypertensive or diabetic. I have had and passed a 9 mm kidney stone. I have been informed that I have others but that they are very tiny. For the past several months, I have been experiencing bilateral lower back ache which is becoming a strong ache (I'm not using the word pain as I experience *pain* with the kidney stone and the ache I'm having now is not radiating around and toward the front). Nonetheless, it's a strong ache. Honestly speaking, I rarely drink water. Please advise. Could this be something serious that I should have checked out and by whom? @dega2010: The first indication of kidney problems or kidney disease is abnormalities that would show up in a routine blood and urine test. There are three simple tests that the National Kidney Foundation recommends to screen for kidney disease. They are: a blood pressure measurement, a spot check for albumin or protein in the urine, and a calculation of glomerular filtration rate (GFR) which is based on a serum creatinine measurement. @dega2010: The problem with chronic kidney disease is that a person may not show any symptoms until it is too late for treatment. This makes it very dangerous. However, there are signs that should definitely tell you that something is not quite right like lower back pain, problems urinating, and fatigue. tissue being overly saturated with body fluids. As the disease worsens to complete kidney failure, a person may experience nausea, fatigue, shortness of breath, disorientation, severe lower back pain, muscle cramps, and headaches. If you experience any of the first signs of kidney failure, you should see your doctor immediately. How would I know if I had chronic kidney disease?